Some say fire effects are the focal point of their outdoor space. Whether fire place, fire pit, or fire feature, each add warmth in cooler evenings of fall or spring, keep the mosquitos away in the summer months, and generally add the unrivaled ambiance and backdrop to your outdoor entertaining. Materials matter when it comes to construction. 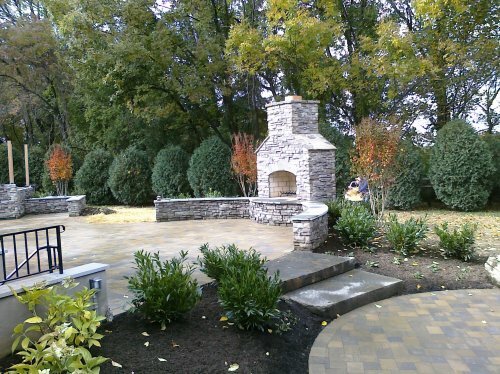 Brick and mortar, natural stone or stucco, Masonry Repair Services can build an outdoor fire feature you will love to sit around, and will increase your property value. Call Masonry Repair Services for a consultation and free estimate for your desired fire feature, and extend the time you can comfortably spend outdoors. Our newly installed fireplaces and fire features always come with a warranty.